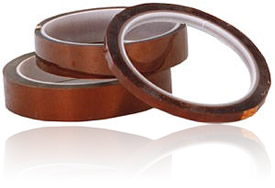 CAPLINQ LINQTAPE™ PIT1N-FEP019 Series is a general purpose, high-temperature resistant HN polyimide film that is coated on one side with a 0.5 mil fluorinated ethylene propylene or FEP copolymer. 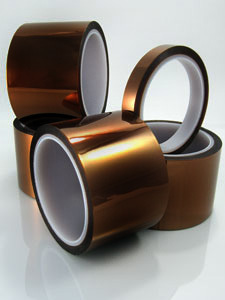 LINQTAPE HN Polyimide film is a high performance, high-temperature resistant, polyimide film that offers an excellent balance of mechanical, chemical and insulative properties particularly at temperatures up to 260°C (500°F). LINQTAPE HN Polyimide is available as a stand-alone film (CAPLINQ LINQTAPE PIT-N Series) in standard thicknesses of 0.5 mil (13 micron), 1 mil (25 micron), 2 mil (50 micron) and 5 mil (125 micron). It is also available with specialty coatings applied to the film such as a conductive polymer to make it antistatic, a sputtered aluminum coating, or as a black polyimide version. Custom thicknesses and/or coatings may be available, please ask for more details. LINQTAPE HN Polyimide is also available as a pressure sensitive tape by applying an adhesive layer to the HN polyimide film. The adhesive layer may be made of rubber, acrylic or silicone, and is most often applied 1.5 mil (37 micron) thick, except in our thinnest product offerings. The adhesive may also be applied on one or both sides of the film, and options are available to have it on a single or double-release 3 mil thick PET liner which makes it easier for handling or for the purpose of die-cut parts. LINQTAPE FN polyimide films are coated with a FEP fluoropolymer coating (F46) emulsified solution and sintered at high temperature to turn general purpose HN polyimide into an FN polyimide. By applying the FEP coating to the HN polyimide film, it is converted to a heat bondable film, which in turn provides a superior moisture barrier and improved chemical resistance. Being heat-sealable, LINQTAPE FN polyimide films are used in applications that require polyimide films to be heat-bonded, or in applications that require moisture and/or chemical resistance beyond what our standard HN polyimide films can offer. 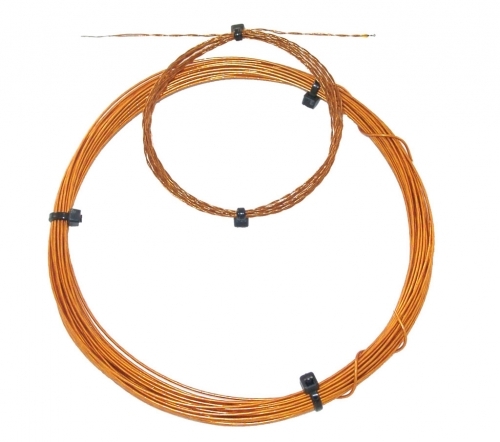 It is extremely well suited, and extensively used for wrapping cable and magnet wire. 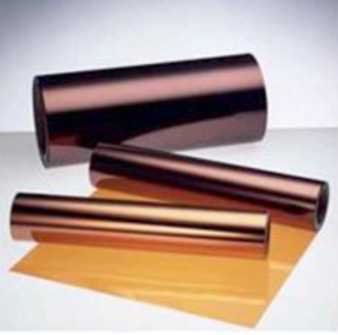 A further list of applications includes, but is not limited to tubing, heater circuits, heat sealable high-temperature bags, automotive diaphragms and manifolds, H-C grade motors and other applications that can make use of the high temperature, electrically insulating, heat-bondable properties of polyimide FN films. Sorry, there are no related videos for 1mil FN Polyimide Film with 0.5mil FEP on One Side | No Adhesive at this time. CAPLINQ is different. Unlike other business to business enterprises, we encourage our customers to discuss, critique, and otherwise comment on the products we offer. Get more technical information, read detailed posts, and see what customers have to say about about 1mil FN Polyimide Film with 0.5mil FEP on One Side | No Adhesive on our Corporate Blog and Forum. Read more about 1mil FN Polyimide Film with 0.5mil FEP on One Side | No Adhesive on our Blog. Join the discussion about 1mil FN Polyimide Film with 0.5mil FEP on One Side | No Adhesive on our Forum.